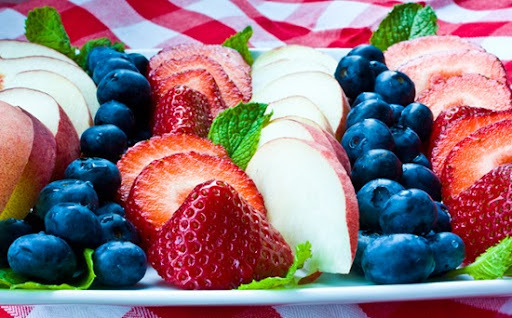 Fresh Fruit Flag Plate: Berries and Peaches. 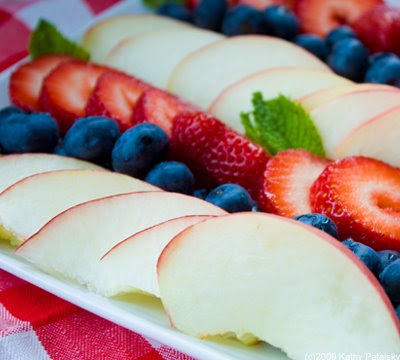 Slice the peaches thin and the strawberries into rounds or halves. 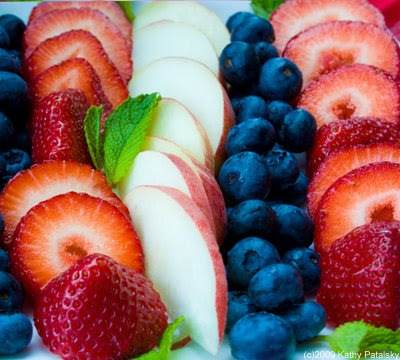 Arrange the fruit on a white plate in rows. Alternate red, white and blue. Then squeeze a bit on lemon juice over the sliced peaches to maintain a nice white color. 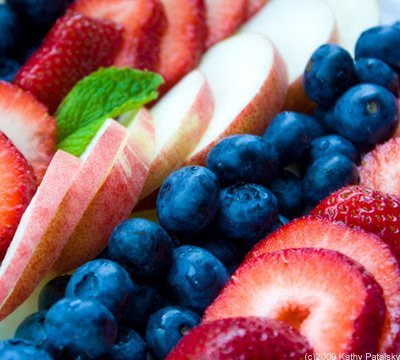 Add the optional drizzle to the top of the fruit. Or you can use it as a dipping sauce. I place a bowl of toothpicks next to the plate for easy access. 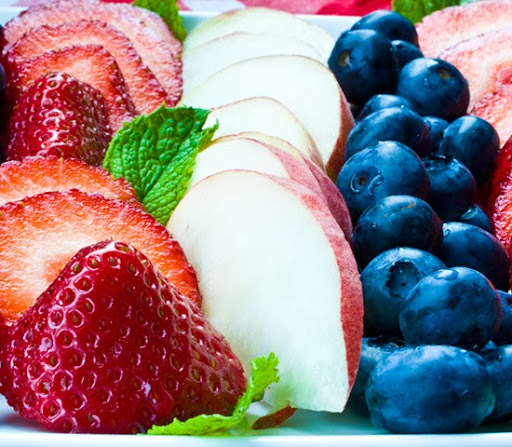 Toothpicks are more delicate for the fruit instead of a big fork.